The symmetry is irresistible and consequential. Elvis Presley and Michael Jackson were two major rock and roll figures and both were allowed to exceed their drug usage by indulgent doctors. To others, the medical men appeared to be motivated only by greed, two undistinguished men who thought that emotionally confused millionaires represented the gravy train. 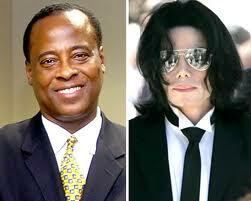 Dr Conrad Murray appeared a bankrupt figure in court. 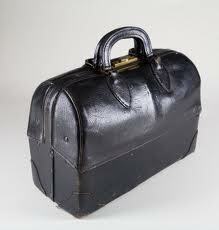 This was a man who rather than heal had only a gift for compounding wreckage. Murray has now been sentenced to prison for four years although the informed believe this term will never be served. His white doppleganger, and in these two tales there is more than one doppleganger, was someone called Dr George Nichopoulos. This doctor avoided prison but was reduced to going on tour showing the bag he used when he over-prescribed drugs for Elvis. Both men are now famous and deserve to be because they proved the incompatibility of greed and competence in medicine. For me, the significance of these sordid tales begins and ends in Liverpool. After Elvis died but before the end of that decade, Liverpool playwright, Neville Smith, wrote for BBC television a play called ‘Long Distance Information.’ Smith was gifted and he is famous for his screenplay for the more than decent movie, ‘Gumshoe’. He had enough status and talent to persuade the BBC to screen a sympathetic account of an alienated Elvis fan. The fan is called Christian and the symbolism in the play is obvious. The play begins with the fan searching Liverpool for a jacket that Elvis wore in one of his early movies. The play resonated particularly in the final scene. Elvis has just died and Christian, unable to sleep, wanders the city. He meets a man who has been a soldier. The music of Elvis does not have the same appeal for the soldier as it does for Christian but he has been affected by the death. He regrets the passing of Elvis in the same way his father, a communist, regretted the death of Winston Churchill. The soldier knows this is an important day. We will now become something different to what we could have been, he thinks. The hard times in Britain today have been compared more than once recently to the years 1973-1983 and this play was written well before that supposedly grim decade had expired. Remember also, that this was from a playwright who was in awe of American culture and what was best about the country. This admiration is part of our diet in Liverpool. And thirty years ago Britain was a wounded imperial beast whose people were beginning to suspect the wounds were fatal. With so little economic power on hand and so much envy it is odd that the play was able to summon a patriotic pride, to still believe in what the country had achieved and could still offer. But whatever our faults there was always The National Health Service. Even in those dire economic circumstances nobody argued that the damn thing was not affordable. This slight of hand only occurred later when economic thinking had been deliberately clouded by neo-conservatism, the arguments of the rich and powerful and their lackeys. This Monday, two days ago, Laurie Penny, in The Guardian wrote about her experience in America after she had picked up a serious infection. She came to the conclusion that the absence of public healthcare means more than a lack of free health treatment. It enables the poor and the ordinary to be subjugated more easily. And, maybe, that was what the final dialogue with the soldier in the play also implied. 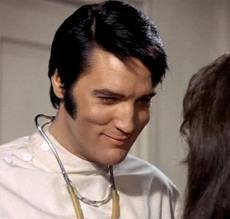 Not only would Elvis have had a properly regulated health service he would have been surrounded by people too proud to let his premature death happen. I did say the play was patriotic. But all that was back then. Last Friday, two days before the article by Laurie Penny appeared in The Guardian, I was drinking in a pub in Liverpool. 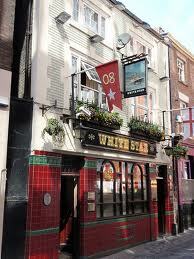 The White Star is a traditional haunt with good beer and if Neville Smith ever returns to his home town there will be more than one customer in there who will treat him to a pint. The pub was packed with the early Christmas crowd. There were groups from work having a drink before their premature celebrations. I was squeezed against four workers from the NHS. Two were actually employed by a care trust and involved in commissioning health treatment. We talked about the one day public sector national strike that had happened two days earlier. I shrugged my shoulders. The NHS workers only stayed for one drink. Elsewhere, food beckoned them away. As they organised themselves to leave the woman who had spoken to me stood opposite and waited. She looked at me without the usual farewell smile. Her face was anxious as if she realised that, without wishing to be, she was now involved in a struggle that carried the profound burden of likely defeat. I wanted to offer consolation, to tell her to be philosophical and understand that in most of the struggles between the powerless and the powerful it is the latter that usually prevail. I could have said that even in defeat there is exaltation in endurance although such triumph invariably has a bitter taste. These days, though, the alcohol affects me more quickly than it once did. Instead, I was inarticulate. The woman nodded grimly. Her friends took her away. everywhere else but since I was a child the Conrads and Georges have been regulated. 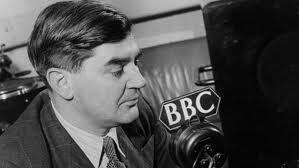 Bevan was aware of the appetites and choked their greed with consultancy fees. But that was well before disenchanted left wing playwrights were able to conclude Britain had at least something to recommend to others. Since the conversation in the pub I have brooded about health care and our responsibility to the damaged and vulnerable. I have thought about ‘Long Distance Information’ and Elvis and Michael Jackson. I am not the only one these days but I have remembered what we were and I have worried about what we might become. A thought provoking and incisive defence of the NHS.